For the past two years we’ve had increasing evidence that something needs to change in the police/neighborhood dynamic. But Fergusson, New York City, and Baltimore are only the tip of the iceburg in every sense of the metaphor. If, like me, you follow the Electronic Frontier Foundation, Boing Boing, and other organizations committed to justice, you know that for every Freddie Gray there are dozens whose injustices don’t make it to national prominence. Of course, this isn’t even a new trend. African Americans have been complaining about harassment and being framed for a long time. But until now it just wasn’t cheap enough for these interactions to be caught on film with as much as it is being done now. Before it was dumb luck that someone might have a video camera in public, now everyone does. And with cloud services it becomes a fruitless exercise to attempt to delete evidence of wrongdoing. So what’s to blame for this and how do we go about solving it? I think that it is highly unlikely that so many cops are racist or power hungry thugs. Sure, statistics tells us that there will be some amount of them as cops because they are everywhere. (Racists and power hungry people in every job) While I think that everyone’s a little bit racist, what I mean is that I don’t think tons of police officers are racist in a way that they’re out to get all [insert race or ethnicity] people out there. What I think is more likely (and more troubling) is a daily experience that ends up dehumanizing the neighborhood that the police patrol. I think studies showing that it’s not as though ethnic cops are more lenient on ethnic suspects helps to affirm that conclusion. Every day the police’s most common interactions are with criminals. So day in and day out they only see the worst of the worst in any particular neighborhood. And those they deal with are going to have every excuse and every bit of dishonesty in an attempt to get away with whatever they’ve done. For example, when talking about the man who died in a NYC offier’s choke hold, they said that suspects often complain about being unable to breathe in order to get away or attempt to gain the upper hand. This calibrates the police officer to inherently distrust everyone and distrust the situation. This is revealed by the stories of cops shooting harmless family dogs during traffic stops or even shooting harmless people who reach for their wallets. This American Life even spoke with someone who confirmed that when cops swap from night to day or one neighborhood to another, they suddenly realize how much they were dehumanizing the suspects. This dehumanizing behavoir leads to situations like the one with Freddie Gray. As of 30 April, the Baltimore Police Department is claiming that the reason Freddie Gray was not buckled up in the police van was because they were afraid he’d bite or spit on them. However, many others have come forward and said that the cops routinely throw people back there and drive wildly, including a woman who is suing for injuries sustained during such a drive. Frustrations should not be taken out on suspects. So how do we correct the issue? I see a few ideas that, together, could radically reduce the chances of this happening in the future. We need to revise how we treat protests, rotate police officers to reduce dehumanization, and invoke the power of the Little Brothers. Let’s take these one at a time. For about two decades now, many have been sounding the alarm on the criminalization of protests. This was very well fictionalized in Cory Doctorow’s Homeland. The simplest way of thinking about this is that when the police assume that all protests will turn violent, they end up creating conditions that make protests violent. There is evidence that this was the case in Baltimore where the police blocked kids from going to school, leading to exactly the situation they were supposed to be preventing – large numbers of disaffected kids who weren’t home. Additionally, when the peaceful protestors are jailed and held without cause it leads people to question the point of the peaceful protest. (See the first MLK Jr quote I posted). Second, we need to rotate the beats of police officers to allow them to see not only the criminals, but also the well-behaved citizens. When someone says they can’t breathe, what unfair advantage do they gain by being admitted to the hospital? It does not un-arrest them. Let them go, and if they’re lying, let them foot the bill. If they’re not lying, you get a PR win instead of rioting that leaves citizens and police officers injured and businesses losing gobs of money.Let’s try and be creative – instead of shooting someone in the back as they flee, think of some other ways to regain control of the situation. If someone’s video taping and the unedited tape is released there should not be any reason for the actions of the police officers to be called into question. Finally, I think we need to invoke the power of the Little Brothers. This is a term that was coined as a reaction to the omnipresent recording technology around us. Forget Big Brother (ie The Government) watching you, you’re constantly being watched by Little Brothers. For example, Micheal Phelps was not caught smoking pot by the government snooping on him – it was someone else at the party with a cell phone camera. With all the recent crises we’ve heard for a call for the police to wear body cameras, but we’ve already started to see officers get into trouble for turning it off when it’s convenient. 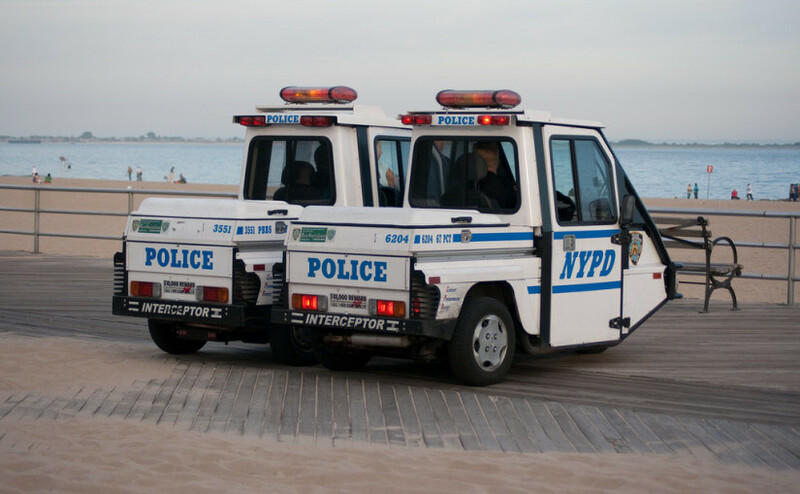 Instead what if the cops and the cop vans (like in Baltimore) and everything they did was on without any ability to be turned off and available for all to see? Sure, we have to figure out undercover cops and witness protection type stuff. There is also the privacy issue, but I can’t think of any other incorruptible process. If the police departments hold the video they can “lose” it whenever it’s convenient. If a third party holds it, it can end up leaking anyway or they can just be paid off to “lose” or alter it. By having it all available to the public nearly live, there all incentive for all parties to act correctly. In fact, studies have shown that both cops AND suspects behave better when they think that the videos will be available for others to see. These aren’t easy solutions, but the first two are easily doable – they’re policy changes, not tech changes. The video solution is certainly a harder one for both tech AND policy reasons, but I think it’d lead to much less of a he said/she said issue. Right now they’re claiming that Freddie Gray was purposely hurting himself in the van. Was he? Impossible to know without video.